The Advent wreath has its origins in the “Rauhes Haus” in Hamburg, a Protestant Inner Mission institution, which was a refuge for orphan and wayward boys. Its founder and head administrator, Pastor Johann Hinrich Wichern (1808-1881) had already started an early form of the advent wreath in 1838, the Advent candle holder. A simple wreath “that carries the lights on its arms” served as a crown of Advent lights. A candle was lit by him during daily prayers with Advent songs. 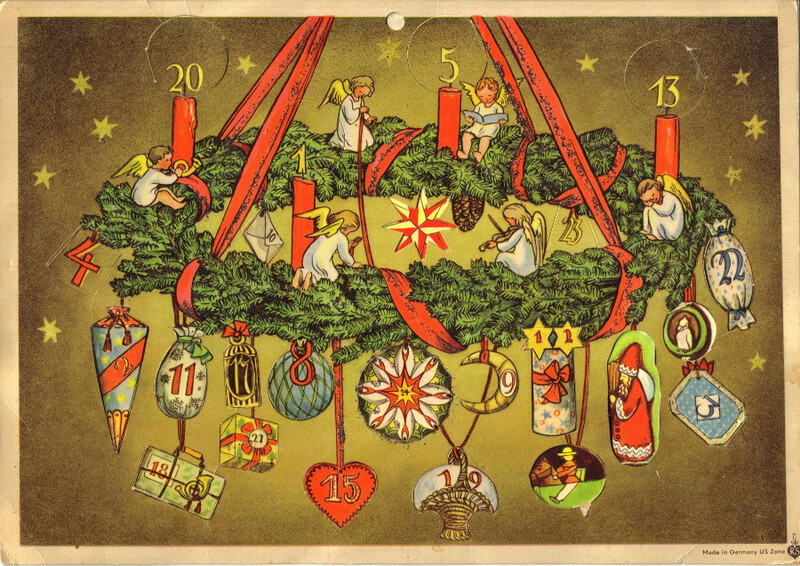 The following year, the “counting by lights” had already developed into the form of the Advent wreath known today. As a result a large round wreath on which a candle is placed every day during Advent prayers has been hung up in the “Rauhes Haus” since 1839; a little candle for every weekday and a large candle for the four Advent Sundays starting with the first Advent Sunday. The candle holder was later replaced by an evergreen wreath or a basic wooden or metal frame was wrapped with sprigs of fir. It was only after the First World War that the Advent wreath generally established itself as a component of the Advent tradition. In contrast to the earlier forms, the Advent wreaths common today only carry four candles, one for each Advent Sunday, presumably due to their smaller size. Today they are not always just made out of sprigs of fir but also consist of different materials. Wonderful Advent wreaths made from wooden hoops with wooden figures turned on a lathe and colourfully painted from the Erzgebirge region, which can be used again each year, are particularly famous.